Depending on which web browser you use on your Android device, you may have noticed that it may not display some websites correctly. It does not really matter if you are using the stock browser, Chrome, Opera, Firefox or any of the other browsers available for the mobile operating system. You have two basic options when it comes to resolving that issue. You can either copy the url to the clipboard, open another web browser, paste the url in and load it to access the website in it, or, simply leave the website and never come back. Update: If you use a recent Android version, you may also use the Share functionality that is built-in to share URLs with other browsers. Flashify is a useful application for Android that improves the first process. Instead of copying and pasting urls, you simply share it with the Flashify application which offers to open it in another web browser. So, all you have to do is find the share feature of the web browser you are using. This is usually either located in one of the menus that browser makes available in its interface, or when you tap on the menu button of your Android device. Select Flashify from the list of available selections. When you do, the browser selection menu opens up that you can use to pick one of the installed browsers you want to load the website in. This works very well for all content displayed in the browser. While primarily designed for websites it can also be used to send videos, images and other content from one browser to the next. The developer of the application has created the app with Flash content in mind. 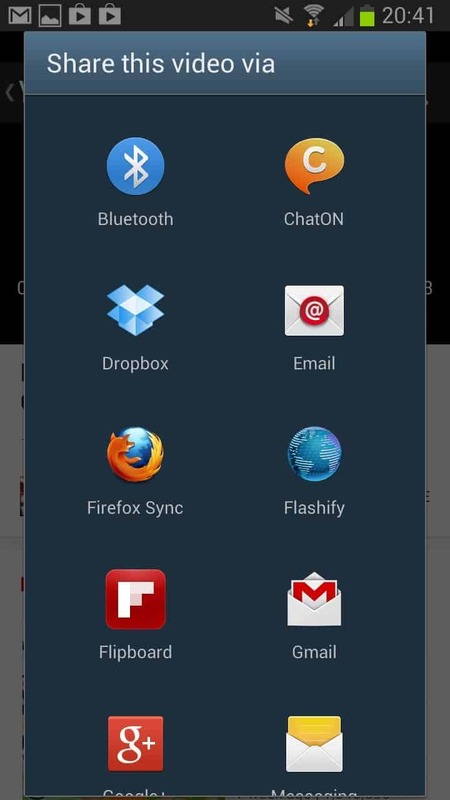 Not all Android browsers support Flash, and if your default browser is one of them, you may use Flashify to send Flash websites to a browser that is supporting them to access the contents of the site in question. This can also be useful for webmasters and designers who want to test their website in multiple browsers available for Android to make sure it displays fine in all of them. Here is a short video introduction of the application. 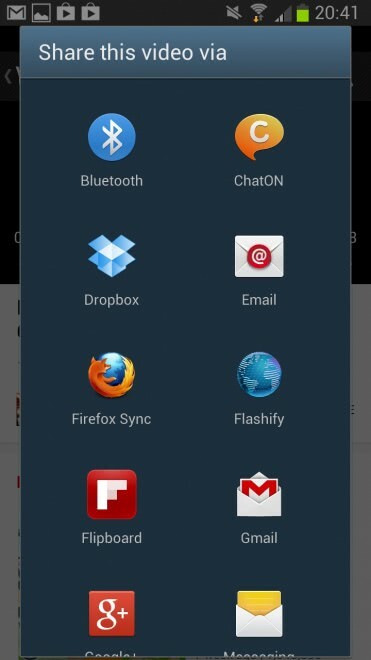 Flashify is a handy application for Android if you use browsers that sometimes display websites incorrectly.